Getting your business on the TV news can generate a lot of exposure for your business. We’re joined by Joey West, an experienced professional in the media industry. He is currently a planning assignment editor at Spectrum Bay News 9. Joey explains how the news media works and what makes a story newsworthy. He also explains a few tips and tricks on what to do and what not to do if you want your business to have a chance of landing some coverage on the local news. 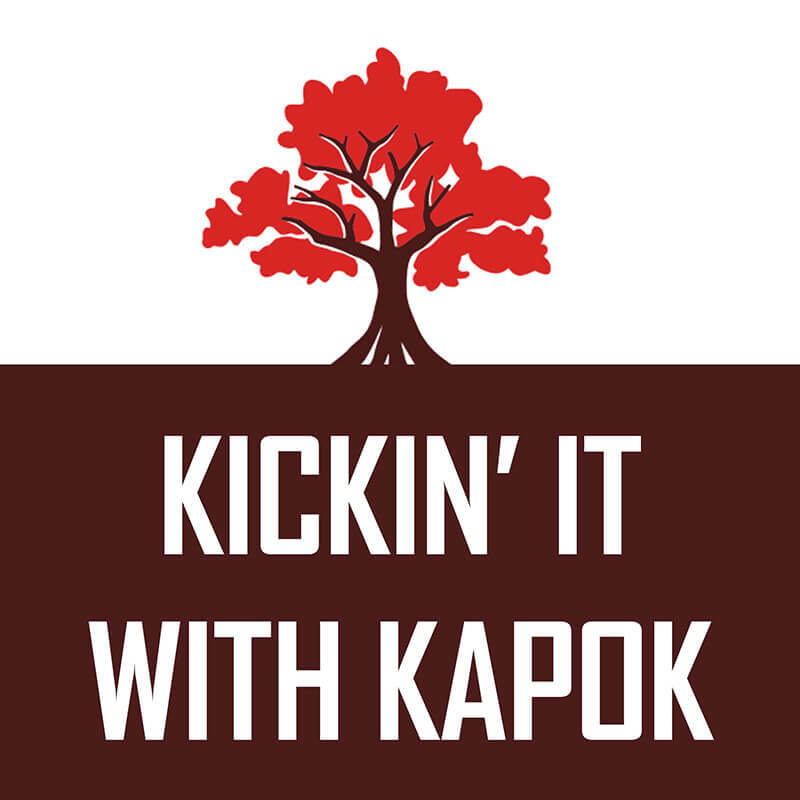 Hello everyone welcome to Kickin' it with Kapok, a podcast about business owners, marketing struggles and solutions, and other business-related topics. This is episode eight, "How to Get Your Business on TV in Tampa Bay with Joey West." Today we'll be joined by Joey west from Spectrum Bay News 9. Joey is a professional in the media industry and has worked at Bay News 9 for over 15 years. He currently works as an assignment editor. Today we'll talk with Joey about how a small business can get themselves on the news. Is there anything you'd like to add, Mirela? Well, I have a couple of things, maybe a few. Joey actually knows a lot about the news industry and the PR and what makes a story newsworthy and also video production and video marketing and I think he's also really good people, which is a bonus. He's lived here in the Tampa Bay area for a while and I'm actually not sure for how long. Yes. I'm a transplant from Ohio, got tired of the snow and cold and decided to come south for the winter like most of the smart birds do. All right. So, you've been here for a while so I feel like you know a lot of people and a lot of things about this area and I feel like you know a lot about video and audio so I'm a little bit nervous today because I don't know if I'm professional enough for this. I've been listening. You do a great job, both of you. Okay, all right so I'm a little bit less nervous now. Is there anything else that you would like to share with us and share it with the audience that maybe Jake and I didn't mention? Well, A little bit about my background. I did get my start in Ohio in television I had a internship inside of the city manager's office for the City of Dayton government television station. So, the TV station was actually inside of the city manager's office so it was while I was still in school. It was a paid internship which was good for me but I really got to see a lot of the other side, so to speak, because being in the media, I'm usually the one who is asking for interviews from people within the inside of government. So, in my perspective, it was a good inside look at what really goes on behind the scenes because I was working closely with city government officials, the mayor, city manager, all the heads of all the departments, trying to show everybody and make videos about what the city was doing to try to improve the community etcetera and what new initiatives they are working on. So, that really gave me a great foundation to start with because, ironically, my first job outside of that was working for a news station, a NBC and Fox affiliate there in Dayton, Ohio, and I was assigned to the city hall beat. So, it kind of worked out. So, I knew the people already there. I knew how things worked and it kind of gave me a leg up, so to speak, in our beat, along with my reporters. So, it helped out a lot and gave me an interesting perspective. And, like I said, after I got tired of the cold weather, digging myself out of snow every morning, I decided to relocate to a warmer climate and I've been here for 15 years now. I was fortunate enough to get on with Bay News 9 and have been there ever since. It's a great station and love what I do. I've had the opportunity to meet a lot of interesting people. All right, so maybe you can tell us a little bit more about how the news industry works and what exactly an assignment editor is. Well, an assignment editor is kind of like the nerve center of the news room. And I say that with a grain of salt because I'm sure everybody thinks differently, but our job is basically to select and develop and plan reporting assignments whether it be planned events or press conferences or future stories that will be covered by our reporters. We take all the suggestions from our viewers and we do listen. Believe it or not, we do get a lot of interesting calls. And not all of them might rise to the newsworthiness that we're looking for on a given day but we do listen to everybody. Everybody that calls, everybody that emails, everybody that writes letters and even the people that still fax we still take those submissions as well. So, we kind of take all the suggestions and all the information and then we keep a calendar of planned events that we know are going to be happening the next day or the next week or in the coming months and we get together with the editorial staff, at least my position, 'cause I'm the planning editor, so I'll sit down with the editorial staff the day before our coverage and say, "Here's everything we know that's going on. Here's all the suggestions that come in from our viewers. Here's all the suggestions from our reporters for stories that they might be working on developing as well, so what do you want to cover?" And we make that decision together and we sometimes agree to disagree. Okay. Okay. I'll look it up on my own time. Yeah, that's pretty interesting, now. Yeah, so, we also get video and other stories from our sister stations. We have one here in Orlando, News 13, as well as our other spectrum news channel family of stations from across the country. We're also a CNN affiliate so they take in content from stations all over the country as well and make that available to everybody for sharing purposes. Obviously, we can't be in California, you know, for the mud slides or whatever though we'll get a video from that affiliate and put it on. And then, you know, it goes through the process of being written, edited, read on the air by the anchor, and brought into your living room every day. Man. It seems so, I guess, effortless when you're watching it on this side of the TV. It's like, "Oh, wow! They did this 30 second segment. I wonder how long this took?" You think, "Oh, well, they probably spent like a minute preparing this because they're all professionals and this is so easy for them," but then to hear you talk about the other side of it, it's a long process, which is crazy. And it's crazy that you guys listen to every single call that comes in or every single message that calls in from the public. We get a lot of great tips from the public. We do get our fair share of people who think we're the new information desk that they can call and ask us for phone numbers or directions or anything. We get calls from people that may have seen something on another news channel and thought it was a story they saw on our air but that's okay. But we know that the good tips do come in. We can't be everywhere all the time so for the people to be our eyes and ears out in the public is really beneficial to us and we've always encouraged people to call in or text or to use our app to submit pictures to us, which, with the advent and prolification of cell phones now has really come along way. Yes, I've been in the industry long enough to remember when we didn't have the advent of cell phones and being able to send pictures or video to people but that's really become much more prevalent in newscast nowadays. There was a time when we would not use Skype on the air when Skype was in its infancy. We were like, "Ah, look at this great new technology but it looks like horrible on the air." But, as their product got better and Internet speeds got faster and able to handle more data, we use it all the time now on the air. And we'll put FaceTime on the air. It gives us other avenues to bring in video or content from places that we might not normally be able to. For example, we just did a Skype interview yesterday morning with a former employee who now lives in Oahu in Hawaii. Right as the hurricane was coming ashore. So, yeah, she was on the air with us live at 5 AM and she went outside and was getting all whipped around by the hurricane winds and did a live report from us from Hawaii. So, it gives us the ability to do cool things like that, that we might not have been able to do before. Okay. Okay. So let's say that I am a small business here in Tampa Bay and I'm thinking, you know, "I just opened my business or maybe I've been in business for a while and I just want to get on Bay News 9 on TV," and do I have a story? How do I get on TV? And I think you talked about how people should have a newsworthy story and can you tell us what a newsworthy story is and kind of give us a little bit of advice on how a local business can end up on Bay News 9 or local news? Sure. You're right, we do get contacted by a lot of people who say, "Hey, I just opened up a new business, XYZ. We'd love to get on TV." That's great. Can you tell me more about it? So, we're in the business of storytelling. We tell people stories. We tell businesses' stories. In my personal opinion, everybody has a story. You just got to dig a little bit sometimes to find it. And for business owners, I would suggest either looking to yourself, what's your personal story? Where did you come from" How did you get your start? Why are you doing this? The "why" is really important, you know, so think about the impact it would have on our viewers because that's something we consider too. That's one the first factors that I consider, actually, is why do the viewers care? Why would anybody else care to see this on TV? What impact did it have on their lives? Would it be a product or a business that they would visit themselves or use themselves? Is it unique in some sort of way? Is it timely? What's the timeliness of your business opening right now? Why did you choose now to open? And, of course, some people say, "Why don't you cover this in Ocala," or whatever so proximity is another important factor especially in local news. While you may see stories from all over the country on CNN, we're focused on Tampa or the greater Tampa Bay area, I should say. We have seven counties we cover: Citrus, Hernando, Pasco, Polk, Manatee, Pinelas and Hillsborough. So we're hyper local, so to speak, because that's why people turn to us. They wanna see what's going on in their backyard. If they see a bunch of fire trucks going down the street or hear a bunch of police cars or hear choppers overhead, they want to turn us on and want to know, "What the heck's going on in my neighborhood? Is it safe to go outside?" You know, before they call us they should really turn on the TV to make sure we're not already there. But if we're not there, then give us a call and be like, "Hey, there's choppers flying overhead; what's going on?" And then we'll check it out for you and try to get you that answer and sometimes it rises to the level of, "Hey, this is something we should get on the air immediately or we might hang on and say, "Oh, they might be looking for a stolen car suspect," which may not necessarily rise to the level of breaking news but if they start shutting down streets or if there's armed police officers everywhere or if a school goes on lockdown, that's a different story. So, call those tips in. We're always happy to take 'em. And businesses do have a challenge because it's not easy getting the media's attention. We have a limited amount of time in our newscast. We have a limited amount of resources and, in this day and age, a lot of TV stations and newspapers, radio stations that are doing a lot less ... Or a lot more, I should say, with a lot less staff. So we really have to be selective about where we designate our resources. Okay. Okay. That makes sense. So, if I am a shoe store somewhere in St. Pete and I'm having a 30% off sale, I should not of call Bay News 9 because that wouldn't be considered newsworthy? Go in the black. Yeah, they would get out of the red which would, you know, they were not making a profit, and then, at that time of year, they would get into the black and start turning a profit. So, Black Friday craziness, probably is dying down some now because then the retailers got smart and they said, "Oh, well, we can stay open on Thanksgiving now and people will come out right after they eat dinner." And now they stay open all of Thanksgiving Day and all of Friday so it's becoming less of an event now. I think in its beginning stages when you would see all the crowds of people lining up and then they open the doors and you get the big bull rush of people running in and trampling over each other and beating each other up over the last Barbie doll, that made for interesting television. That's kind of interesting. They almost got too greedy and now it's not newsworthy. Right. Yes. Greed is not good all the time. And Amazon Prime Day is another example. They made up their own holiday. A super sale, so to speak, and they really perfected it. And it's getting personally to the point where I wouldn't care to cover it anymore but the first few years, they really built up a lot of momentum, did a lot of publicity for it, and people got excited about it. It warranted news coverage because people would be at their computers at work all day watching for the deal of the hour to pop up. They didn't want to miss out. If you're going to do a sale, get creative with it. Do something that nobody else is doing. Maybe you want to erect a 100-foot inflatable gorilla outside your store. I don't know. Something like that. Okay, so no sales but if I am holding ... If I'm a business and I'm holding some type of fundraiser that's going to benefit a local nonprofit or it has some valuable story to it like I'm doing a play and all the proceeds will go to educating people and teaching people how to read, maybe that's a good story that you guys would want to hear. Maybe. At the end of the day, it's your decision. Sure. Sure. Right. And you would have to give us the story behind the story so if you're doing something to benefit a nonprofit, tell us a little bit more about the nonprofit. Will somebody from the nonprofit who benefits from this money be willing to talk to us and let us tell their story? You know, introduce us to that person who's directly impacted by the donation that somebody might be making and when we're able to tell that story, then it becomes much more interesting to our viewers. Okay, that makes sense. So the story behind the story. So you want to see the full effect of what's going on. Okay, that makes sense. Okay. So, do you have any other tips for what to do or not to do if you are trying to get exposure or publicity for your business on local news? Well, be polite. So, we welcome your calls, we welcome your emails but the best way for us to get the information is for you to write an email to us and let us know what's going on. If you're having an event, the who, what, why, when, where, the time, the location, the address. These are all important things but, many times, they get left out. Contact name and information of who we can contact if we're interested in learning more. Like I said before, there are so many stories out there, it's hard for me just to say here's one specific thing to focus on. Just really look within. If you have an employee in your company who might have a unique story that might pertain to something that's current in the news now. An immigration issue might come to mind. If you've got a story of somebody who came to the country and made a success for themselves but they just happened to be an immigrant at the time and they may not have gotten through the proper channels to become a citizen initially, and they can talk about the struggles et cetera, et cetera. So there's always a story behind the story, just like you said. Okay, okay. And if someone is sending you a story and it's the story of an event that's coming up, how long in advance or before the event should they tell you about the event? Like two months, two weeks, two days? What's the sweet spot? There's not really a sweet spot. Honestly, as long as we know the day before, that's great. You know if you could send it about a week ahead of time, that would probably be to the best of your advantage. So, is what we're talking about now, is this a press release, maybe you could explain what exactly that is and if that's a good way for someone to contact you, if they have this newsworthy idea, assuming they are following all the rules that we've been talking about. Or is that no longer the way to do it? Press release is fine. You could also just write a short paragraph. A lot of times, when my reporters will pitch stories to the editorial staff, they develop what we call a one-liner. Basically, tell us about the story, who you would interview, and why our viewers would care? What impact it would have on their lives? And we try to summarize it and we call it a one-liner. It's really a couple, like two or three sentences. But, that being said, a press release is fine. Usually keep it to one page. We get hundreds of emails a day to our personal inboxes as well as our general Bay News 9 information accounts. So keep it as short as possible but don't leave any pertinent information out. Yes, you could tell us your life story or your business' whole story and give us the background and I'm sure it's all great but really cut to the core of why you're sending me this information and what you hope to accomplish. Okay. Is there any other specific things that people should keep in mind? Times that they should send it or shouldn't send it? You know, should they send it in the middle the night or just anything else that's a good idea or a bad idea? Wow! I would suggest sending it after 9 AM just because there's more of a staff on board. You know, it will get seen probably by more eyeballs. That's just a personal tip. I wouldn't send it like at 1 AM on a Sunday. There's a chance it may or may not make it to the proper calendar or place or to the right person that might need be. Also, I think a lot of people don't really know what the proper format is for a press release and when I say people, I think I'm talking about businesses and business professionals and sometimes they wonder, does it really have to be in a certain format? Should I hire a professional? Is my story going to have a higher chance of getting covered if I hire a PR professional who is going to put together a professional press release and submit it? Or should I just wing it and send like something that I scratched on a napkin and send it to you guys? You got me all choked up. I take it you've received both? We have received many interesting things. I won't go into detail but there are advantages to hiring a public relations professional and having a professional press release because those people in that field do it on a daily basis. So, they're very cognizant not to leave out important information like I just mentioned like a time, an address, a date, a contact name and number. So, you've got a better chance of making sure that all the information that you need is going to be in there and they're very good at crafting a story and letting the news journalist know why it's important. They can kind of wheeze through that bad information. And what you're really, I think, getting when you hire a public relations professional is their contacts with the media. Because they do it on a daily basis, they do send out press releases maybe daily or weekly but, a lot of times, they'll call and ask to speak to us to make sure we got the press release and see if we have any more questions. So, over time, you start to talk to the same person, you get familiar with them. I'm not saying you exactly become friends with them but you become familiar with this person and if you happen to cover an event that they may have written a press release for or put together in the past and it went well or it went bad, you have some kind of idea of how their next event might go or their next offering might be. So, I'd say if you burned me once in the past, there is a likelihood I probably won't come because I can expect failure. There are people that over promise and under deliver. Uh oh. That sounds dangerous and interesting at the same time. So, never lie to us, one. Never promise us something that's not going to happen and you know it's not going to happen because that's the quickest way to burn any relationship is to oversell and promise something that's not gonna happen. 'Cause there's a strong likelihood we won't go back ever again. Okay, so that happens. People actually contact you and say, "I have this amazing story. You guys got to be here right now," and then you show up and it's nothing. Oh yeah. Oh yeah. Yeah. So that's where us assignment editors come in. We have to weed out the good, the bad, and the ugly and have to try to use our judgment from over the years of what will actually come to fruition and what will not, so to speak. We have to just use our judgment, decide if it's somebody that we rely upon, if they've come through in the past, if they're a good contact with reliable information, then there's more of a likelihood that it's something we would pursue. All right. Is there anything else that we should've asked you about but we haven't? No. I think we covered on a lot. Our preferred method, again, is email. Just make sure you keep all that pertinent information in there and if you're looking to contact us at Bay News 9, the best email address is desk, D-E-S-K, at charter, C-H-A-R-T-E-R dot com. desk@charter.com. That comes to all the assignment editors. We see it, we'll take that information, and we'll put it in the proper day on our calendar and make sure it gets considered or passed along to the right person, whatever coverage it should warrant. All right. Well, I think it's been a great eighth episode. I'd like to, again, thank Joey from Bay News 9 for joining us today. Yup. And feel free to reach out to us if you have any questions or comments about anything we talked about today or marketing in general. You can visit us on our website, KickinItWithKapok.com or we're on social media. We're on Facebook, Instagram and Twitter as Kapok Marketing. This has been a great Kickin' it with Kapok brought to you by Kapok Marketing. Thanks for listening. We'll have something just as great for you next time.